This traditional, mouthwatering Cajun sausage is made with the perfect combination of beef, rice, onion tops, and seasonings. We've spent several decades refining our recipe, and we believe you'll enjoy it. Q: What is the casing made of? 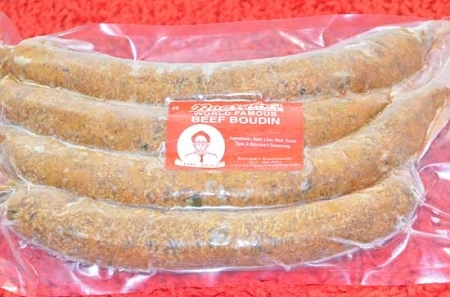 A: We use natural sausage casing for both our boudins and sausages. Natural casings are made from animal intestines.